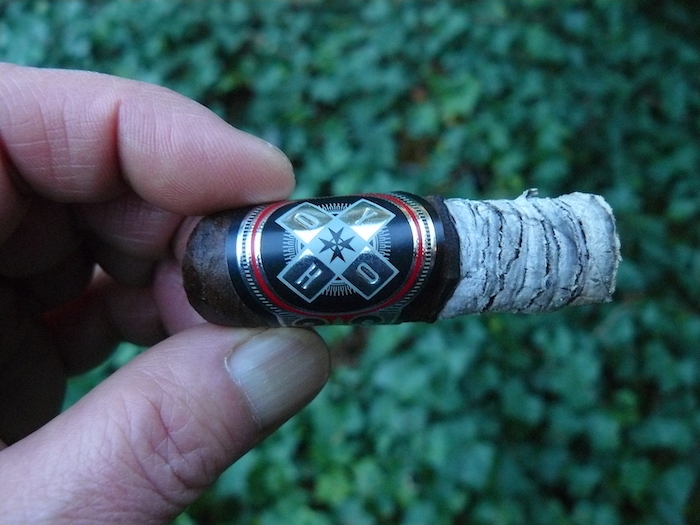 Back in 2016, General Cigar teamed up their Hoyo de Monterey division with the red-hot AJ Fernandez to produce the Hoyo La Amistad. The result of that collaborative effort received widespread accolades, including from our own Tony Casas (you can read his review here). Last year brought the La Amistad Silver, which was intended to be a bolder version of the original, and now comes the strongest addition to the line yet, La Amistad Black, which wears an Ecuadorian Sumatra Oscuro wrapper. Like the other versions, this new extension is crafted at Tabacalera A.J. 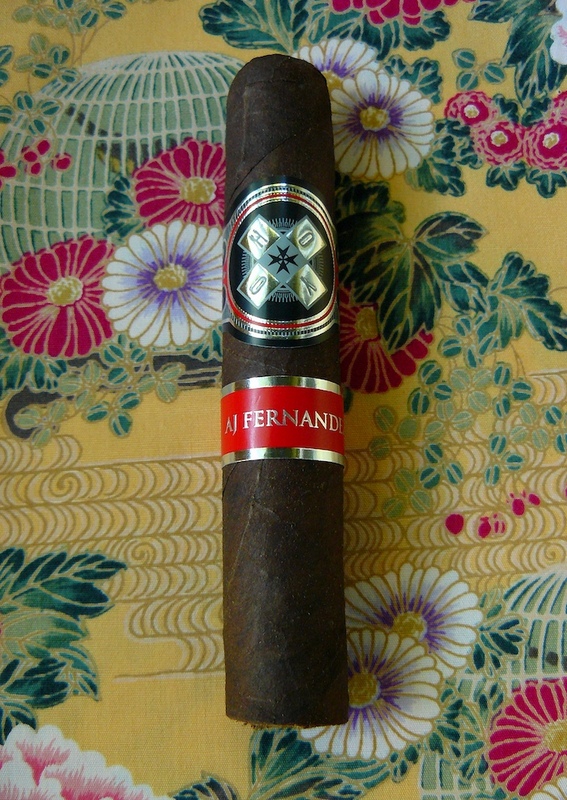 Fernandez Cigars de Nicaragua in Esteli. Three sizes are available: Rothschild 4.5 x 50, Gigante a box pressed 6 x 60, and Toro 6.5 x 52. The Rothschilds are packed in 25-count boxes, while the other sizes come in boxes of 20, and range in price from $7.29 to $8.49. I got mine from our good friends over at Cuenca Cigars. The Hoya La Amistad Black certainly lives up to its name in appearance. The wrapper hue is almost like charred dark wood, and the color is uniform throughout, save for a couple of small areas that are only slightly lighter. There are only a few very fine veins that are hard to detect, the seams are basically invisible, and it has a somewhat velvety feel, which surprises me as I was expecting something this dark to have a toothier and oilier texture. 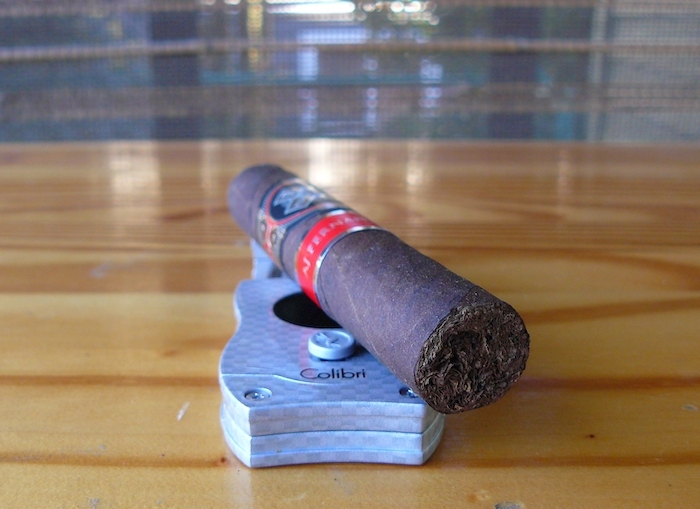 The pack is very firm from head to foot and the cigar has some serious heft to it. The banding’s color combination of black, red, chrome, and gray looks terrific against the dark leaf. 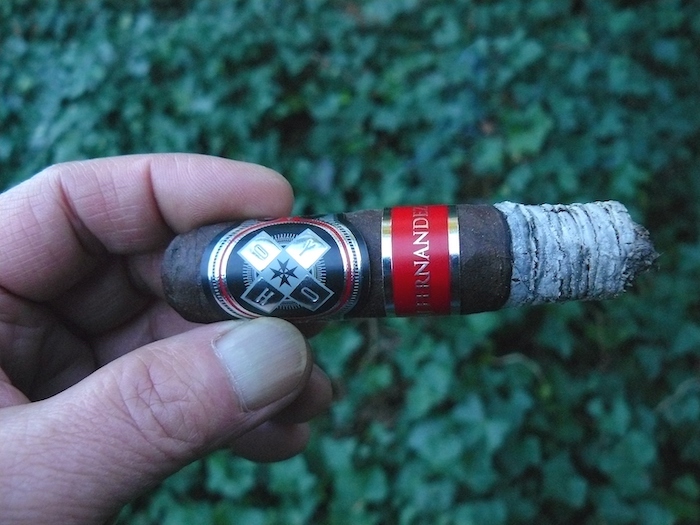 A sniff of the wrapper shows a nice earthy barnyard aroma with a bit of manure, and the foot gives off a profile of wood and tobacco with something meaty mixed in there that I can’t quite place. 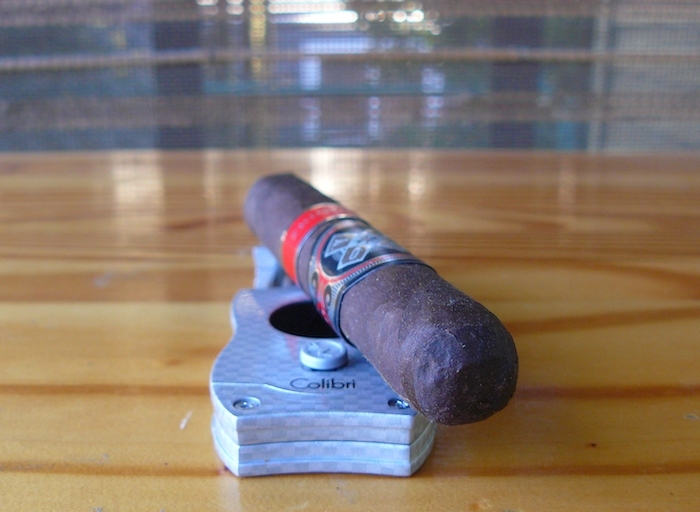 After giving the cigar a V-cut, the unlit draw features sweet earth and spice with a hint of cocoa. Upon lighting up the Hoya La Amistad Black, I’m greeted by sweet dark soil, coffee bitterness, and oak, with a rather surprising lack of pepper. A touch of musk begins to show in the retrohale soon after, and there is a nice smoothness to the flavors. The burn is razor sharp and nearly dead-even, leaving behind a densely compacted white ash that drops off at close to an inch. Pungent pepper flavor comes into play as the Hoya La Amistad Black moves into its middle section, but without the spicy bite. Dried herbs are also in the mix as the smoke climbs into the medium-plus range. There is a sweetness lingering in the background and on the tip of the tongue, but has yet to show itself on the palate. A peppery bite finally shows up in the last third of the cigar as it moves up in body to medium-full, and the underlying sweetness emerges. The La Amistad Black continues to be driven by the earth and oak, along with a bit of coffee and musk. 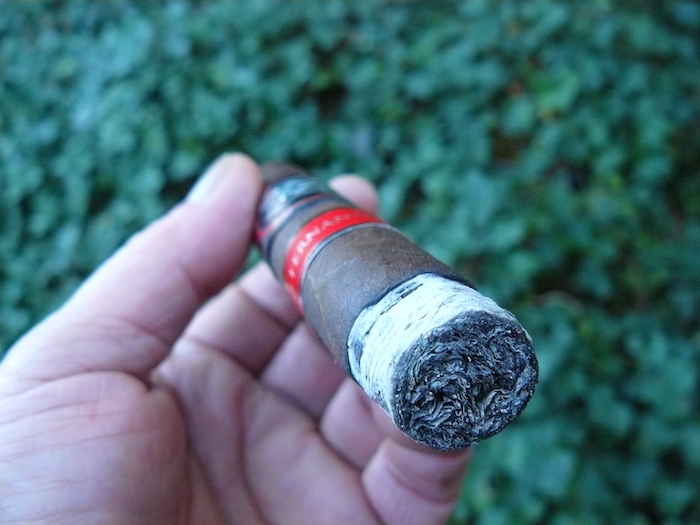 It finishes with a cool and very firm little nub, with not much in the way of nicotine strength. There was never a thought of a correction or re-light throughout. My notes seem to be short and there were not a lot of transitions or even complexity in the Hoya La Amistad Black, nor was it as full and strong as I was expecting, but that didn’t keep me from enjoying it. The price might be a little bit higher than I would like, but the likeable flavors, smoothness, and perfect construction and burn (which was nice and slow for the size) make it a cigar I would certainly pick up on again, and I recommend giving it a try. Given the relative lack of overt sweetness in the cigar, I turned to Belching Beaver’s Peanut Butter Milk Stout to help balance things out, and it was just what the doctor ordered. The moderate sweetness of the beer matched up nicely with the Hoya La Amistad Black. The level of peanut flavor in the beer is rather subtle and not in-your-face, and never interfered with the smoke, instead teaming up with light cocoa to lend an extra bit of complexity to the experience. Just about any sweet stout or porter would pair up well with this cigar, as would a nice tawny port or sweetened coffee drink.